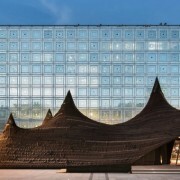 Architecture studio Kilo has pitched a traditional Moroccan camel and goat wool tent in front of Jean Nouvel‘s Institut du Monde Arabe building in Paris. 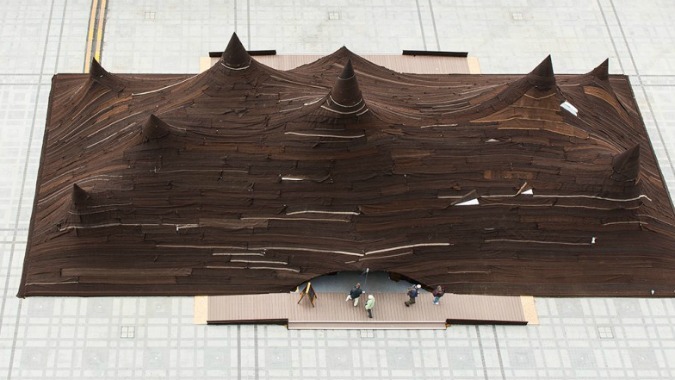 The studio covered the large rectangular tent with over 650 square metres of camel and goat wool, woven into long strips by members of a female cooperative in the Sahara Desert. The texture and curving form contrasts against the smooth facade, which is patterned with geometric designs typically used in Arabic architecture and on tiles. Beneath the woollen ceiling, the museum has attempted to recreate a souk-like atmosphere where works by Moroccan designers and craftspeople are displayed and sold. 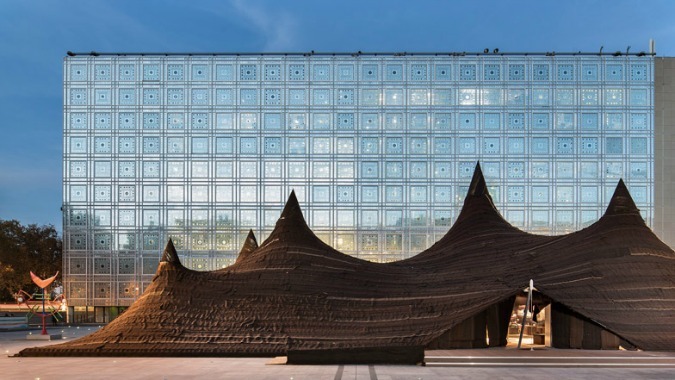 “The rhythm and scale of the tent’s silhouette renders a topographic dimension to the structure, which pays homage to the nomadic traditions of southern Morocco,” said the architects. (source).